We’ve seen Thunderbolt ports on enthusiast computers for a while now, but these days Thunderbolt is becoming the port everyone wants on a new laptop, regardless of size, form-factor or budget. The 3rd generation of Thunderbolt is a significant upgrade over its predecessors and in many ways, the one port that could replace all others in the years to come. Physically, it’s a USB Type-C connector, thus compact, reliable and reversible. Technically, it can provide transfer speeds of up to 40 Gbps, it allows to connect up to two 4K 60 Hz displays while outputting video and audio signal at the same time, it supports DisplayPort 1.2, HDMI 2.0 and 10 GbE fast networking, as well as power delivery. 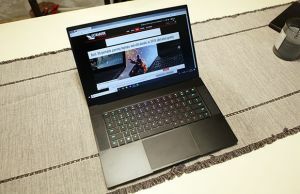 In other words, Thunderbolt 3 is the compact and versatile connector you can use to charge your laptop, transfer files at fast speeds, connect external monitors and other peripherals, including PCIe compatible graphics units (like the Razer Core, which we reviewed here). 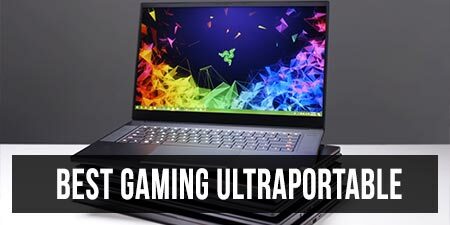 This last aspect is particularly interesting, as it allows OEMs to design ultra-portable laptops able to actually handle some serious gaming once hooked up to these external GPU docks. The versatility and compact size of the Thunderbolt 3 connector also make it ideal for slim and ultra-compact computers, which cannot accommodate regular-sized ports. We’re going to talk more about Thunderbolt 3 and its capabilities towards the end of the post. For now, let’s get to the complete list of all the available laptops and ultra-portables that offer at least one Thunderbolt 3 port at the time of this update. 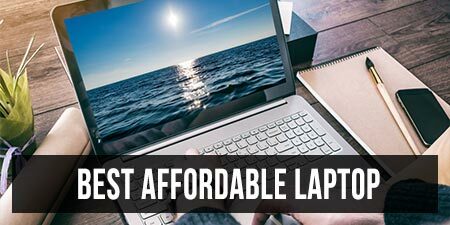 Since there are many such computers out there, we’ll split them into three different groups: compact laptops (with 13-inch screens or smaller), large-screen portable laptops (15 to 17-inch screens) and full-size notebooks (15-inch screens or larger). We’ll also include details on their format, hardware platform, type of TB3 port (x2 or x4 PCIe lanes), whether it can charge via USB-C, and the starting MSRP price in the US, in case you’re looking for something within a specific budget or one of the cheaper Thunderbolt laptops out there. 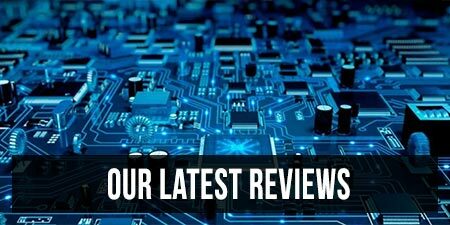 Keep in mind prices and availability vary over time, so follow the links for more details, as well as the link on each unit’s name for our detailed reviews and guides, in case you’re interested in a particular device or looking for the best Thunderbolt 3 notebook for your needs and budget. I’ll also add that the lists below only include laptops released in the last 2-3 years, and for the most part, only the latest version of each laptop is mentioned, even if the previous generations might also support Thunderbolt 3. 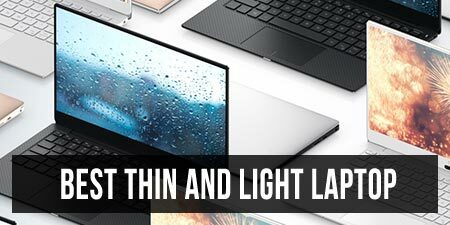 If you’re looking for a larger screen and faster hardware, but still want to stay within compact and portable ranges (under 4 lbs for 14-inchers, under 5 lbs for 15 inchers, under 6 lbs for 17-inchers), then these are the options to consider. Last but not least, if you don’t care about portability at all and simply want a powerful computer with a large screen, capable graphics and a Thunderbolt 3 port, these are the options for you. There’s a catch about the Thunderbolt 3 connection, it can be hooked up to the motherboard via x2 or x4 PCIe lanes. The x2 TB3 port is half the speed of the x4 TB3 connection and is primarily a problem when hooking up an external graphics chip and playing on the notebook’s internal display, as data needs to be swapped back and forth between the laptop and the eGPU dock. Hooking up the eGPU and playing on an external monitor hooked to the eGPU works fine on an x1 TB3 connection though, as in this case the data is no longer sent back to the laptop via the Thunderbolt. It’s also worth adding that many laptops get two TB3 ports hooked into a single TB3 x4 controller, and not two ports with two dedicated 4x lanes. That means you get the 4x speeds while only one peripheral is hooked in, and they’ll share the connection when you hook up two. The USB Type-C connector is compact and reversible, so compatible cables are not going to take a lot of space. Also, unlike most other connectors like USB Type-A, DisplayPort, HDMI, etc, a USB Type-C cable no longer has a “right-way” to plug in, making it much easier to use. USB-C ports are more and more widely spread on mother devices, so down the road, they could replace all the other standard connectors, which means we could end up with one universal connector and one type of cable for pretty much all basic needs. Not all USB-C ports support Thunderbolt 3, as the technology is only reserved to certain Intel based-devices with an appropriate TB3 chip. That might change in the future, as Intel plans to bake Thunderbolt 3 compatibility within the CPUs. TB3 allows for very fast transfer speeds of up to 40 Gbps, which opens up space for a multitude of compatible accessories: fast external storage units, external graphics and processing units, external docking stations, etc. TB3 can output video, audio, and power at the same time, so is a solution for connecting high-resolution external monitors or TV sets. TB3 is also capable of network transfer speeds of up to 10 GbE, so can be a solution if you want to quickly transfer content within your network. TB3 can also be used for charging your device at up to 100 W of power. So good-bye dedicated charging cables. (it can also charge laptops that normally ship with higher capacity chargers, but slower and while performing less-demanding loads. 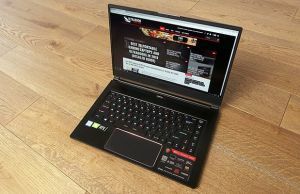 However, you should keep in mind that not all laptops allow TB3 charging, even if the port theoretically supports it). One compact port can do all of these, so no wonder manufacturers are adding TB3 on the latest laptops. But what does Thunderbolt 3 mean for ultraportable notebooks? It allows OEMs to design thinner, lighter and smaller devices which wouldn’t have space around their sides to accommodate regularly sized ports. Yes, that means you’ll need to buy adapters for your existing cables and devices, but to some extent, that’s a sacrifice I’m willing to make. These smaller computers can be hooked up to peripherals and transformed from the ultraportable travel companions they represent by their own, to business, multimedia, and even gaming computers. You can hook up an external monitor for extra screen real-estate, a storage unit, a docking station with extra ports or those graphics units. Just keep in mind that CPU’s can be a bottleneck un ultraportable laptops hooked up to eGPU, as these are usually built on Core Y or Core U processors, but thin-and-light 15-inchers with quad/six-core Core H processors and a solid amount of RAM will be good matches for the graphics capabilities of a full-size desktop card. There is however a fair amount of confusion around Thunderbolt 3, mostly because it’s impossible to determine whether a device is TB3 compatible or not by simply looking at the physical connector. And that’s because TB3 and regular USB 3.1 ports both use a USB Type-C physical connector, but have different capabilities. The Apple MacBook, for instance, offers a USB 3.1 port, but not Thunderbolt 3. Standard USB 3.1 Type-C connectors still support data, video and audio transfers, but are limited to a lower bandwidth, so will perform slower, can’t carry power and aren’t compatible with graphics units, among others. As of early 2019, there are many Thunderbolt 3 compatible accessories available in stores, and we covered some of the better ones in this article. Even so, having a Thunderbolt 3 port on your laptop might still not sit that high on your list of priorities, but you should consider something with TB3 for future proofness, especially if you plan to take advantage of the matching peripherals down the line and plan to keep the laptop you’re buying today for at least 2-3 years. With that in mind, we’ll wrap this up here. I’ll continue to update this list of Thunderbolt 3 compatible laptops as often as possible, adding the new entries as they become available, but if you spot something that should be in here and is not, make sure to tell me about it in the comments section below, where I’ll also wait for your feedback and questions, if any. Can you look into Asus Zephyrus M GM501 please?